Save up to $250 on a 2 bedroom! Sign a 12 month lease, and receive up to $250 off your monthly rent on a 2 bedroom! 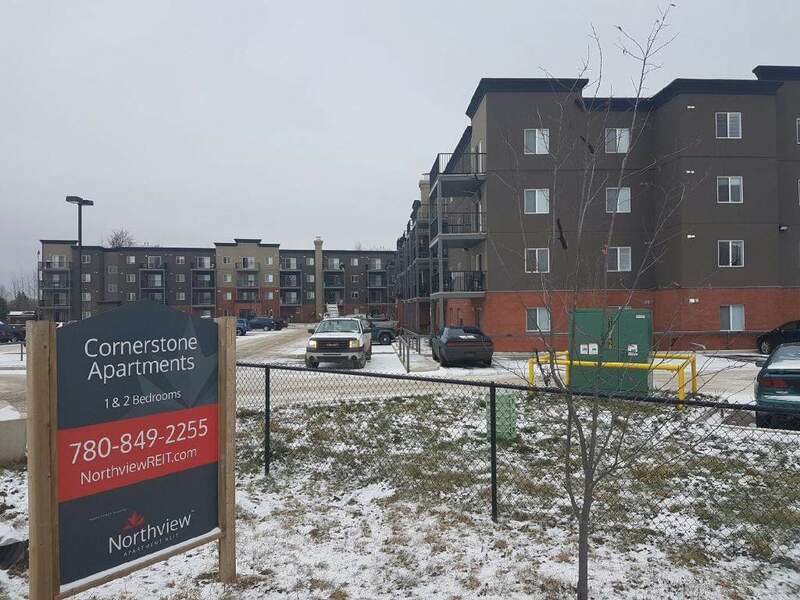 Cornerstone Apartments are conveniently located on Main Street SE, within walking distance of supermarkets, big box stores, and restaurants. Backing on to green space, many balconies boast beautiful views. Each suite comes with a parking space, and those with children will enjoy the play structure at the corner of the development. Our 1 and 2 bedroom apartments are spacious, neutrally decorated, and have elevator access. This building also offers affordable units for qualified applicants. Contact us for more information.